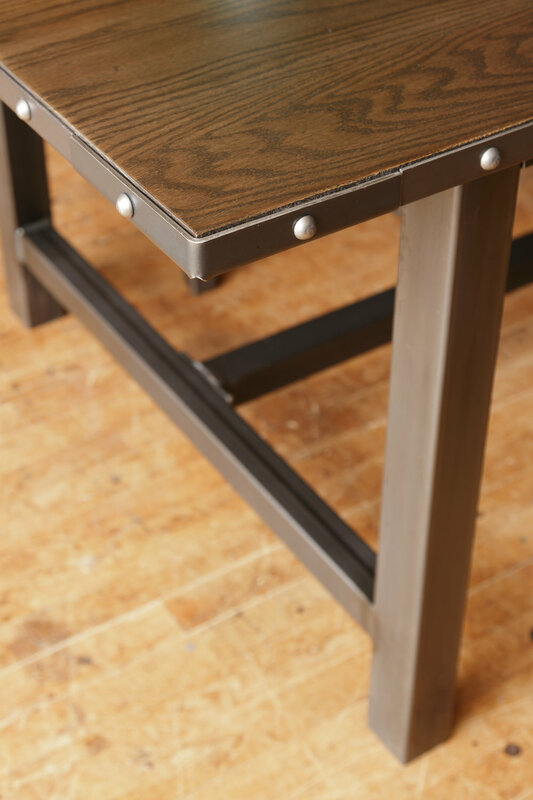 One of the most notable features of our design here at Knot & Ore is the abundant use of metal, especially steel. Though this is inspired in by current trends, it is nothing new. In fact, iron and steel are an important part of local history. Pennsylvania’s iron industry predates the Revolutionary War, and its steel industry is still active today. In 1737, Peter Grubb began mining iron from the Cornwall banks in Lebanon county, marking the beginning of the local iron industry and the Grubb family dynasty. Over the next two centuries, the family holdings included over twenty-six different production related sites in the area, including the Cornwall Iron Furnace, Union Forge, Mount Hope Furnace, and Chickies Furnace. Additionally, the Grubb heirs left us with the historic Mount Hope Estate, which now hosts the renowned Pennsylvania Renaissance Faire. The Grubb family were not the only significant figures in the Lancaster Iron industry. Pennsylvania’s first millionaire, Robert Coleman, made his fortune from the forges, and later spent nearly three decades in politics, during which time he attended the Pennsylvania Convention to ratify the constitution. Furthermore, the work of iron baron Henry Stiegel is a significant factor in the history of the town of Manheim and surrounding areas, which are now home to the largest auto auction in the country. Metal not only lends a fitting historical background for our product, but also plays an essential role in our aesthetic. We work with a variety of woods in various forms, including live-edge and reclaimed. These present an endless array of textures and shapes, which are balanced in design by metal components. We do this by changing the shape of the metal and its finish. The Pennsylvania cold-rolled steel we use creates visual contrast and balance, bring with it the credence of a centuries old industry. 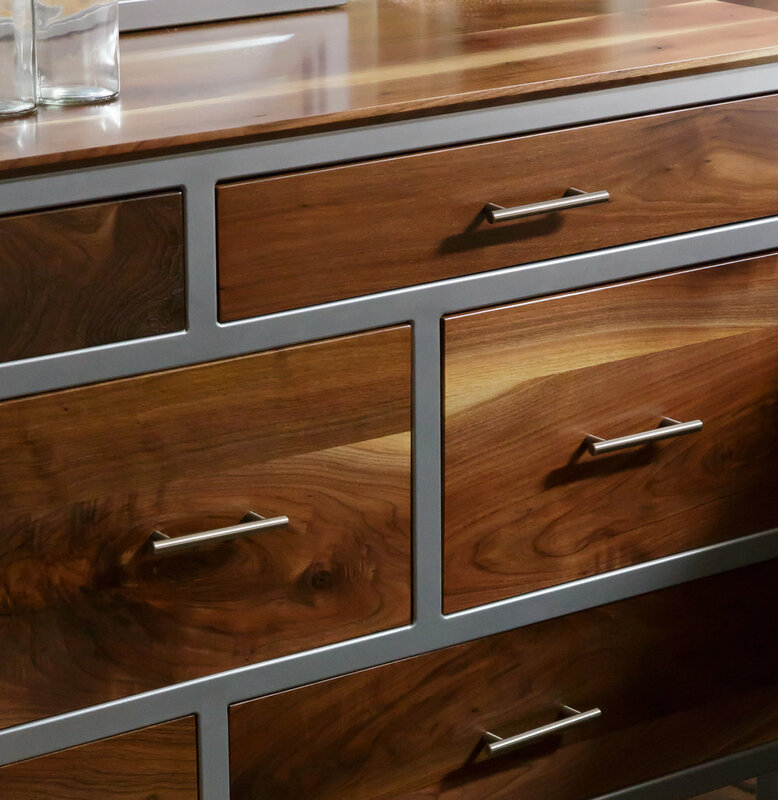 Take a moment to browse our collections for other examples of metal in design.